Designed to use the PASE joystick interface with Xenon, Mushroom Mania, Dracula's Revenge, Acheron's Rage, Light Cycle and Hunckback. 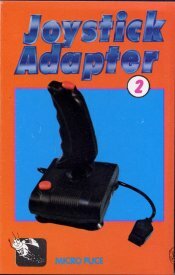 Great utility in order to use your Joysticks (PASE interface) !!! Hours of fun guarantied ! Play Light Cycles with 2 players using joysticks is a great experience !